This post is the final installment of a three part series exploring the politics of the Mass Effect universe as created by Bioware. Each post seeks to explore some of the political and cultural dynamics of the series through the lens of real world politics and ethics. Comments are appreciated. You can find part one here and part two here. Warning: These posts include minor lore spoilers for Mass Effect and Mass Effect 2. In the Mass Effect universe, major struggles ensue between entire species. Politics is mainly conducted along racial lines, meaning cultural antagonisms can lead to century long wars between large identity groups. Considering our own history, cultural conflict may seem inevitable. Yet the affect of culture and identity on politics is still hotly contested amongst political thinkers. There are those who doom mankind into endless feuds over incompatible beliefs and practices. Alternatively, some believe our shared natures lead towards mutual cooperation. The debates surrounding culture, identity, and politics are mirrored themselves within the Mass Effect universe and other mainstream cultural artifacts. It is my hypothesis that the fundamental source of conflict in this new world will not be primarily ideological or primarily economic. The great divisions among humankind and the dominating source of conflict will be cultural. Numerous political scientists affirm these claims, attributing various ethnic conflicts to "ancient hatreds." It is easy, when looking upon civil wars around the world, to see an underlying cultural component. The same can be said for the violent encounters in the Mass Effect universe. 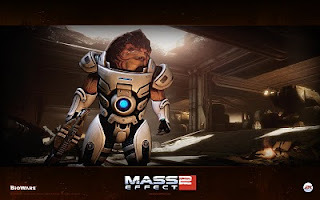 As discussed last week, the krogan are a culturally violent race deemed too dangerous to exist without the sterilizing affects of the genophage virus. All the citadel races warn of interactions with krogans because of their "nature." 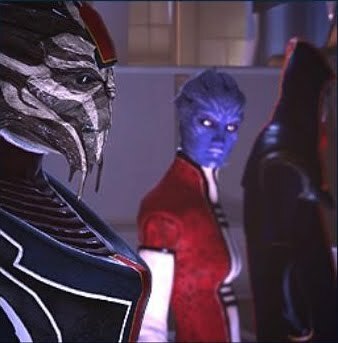 The rachni, batarians, and vorcha are also looked down upon or feared because of perceived innate behaviors - potentially fueled by cultural misinterpretations. Similarly, a political misunderstanding between expansionist humans and a turian fleet led to the First Contact War between the two races. The animosities between humans and turians as the result of the war exist well into Mass Effect 2. There are also various conflicts that occur between species aboard the Citadel, from racial epithets thrown at quarian exiles to arguments between overly-polite hanar citizens and impatient turiens. Race appears as a common narrative concern in both games, testifying to its importance in the universe. When difference is considered biological and culture immutable, conflict quickly becomes colored by identity politics. One pillar in Huntington's argument is the strong belief in community homogeneity. We exist within identity groups with shared values which define our political interactions. When values are incompatible we inevitably clash. Thus, on a large scale, difference can become dangerous. However, this need not be the case. As philosopher Kwame Anthony Appiah would argue, "We can live in harmony without agreeing on underlying values (except, perhaps, the cosmopolitan value of living together)." The ideology need not fall into the trap of cultural relativism, nor become solely a tool to rid the earth of non-western values. Yet clashes between the two principles can arise. "There's a sense in which cosmopolitanism is the name not of the solution but of the challenge." That being said, mutual respect can and does occur on a regular basis, even amongst the fictional races of the Mass Effect universe. Despite the racial antagonisms with humans, turians prove they can be quite tolerant, allowing complete religious freedom within their own species - something we cannot claim of our own kind. Likewise, the monotone elcor accommodate other cultures by clarifying their sentences, explicitly stating their intended tone. The quick thinking, fast talking, seemingly emotionless, and very short lived salarians still manage to maintain healthy relationships with most other species, despite the occasional awkward verbal exchange. In actuality, the Citadel is a remarkably cosmopolitan city run by a relatively diverse political body. Besides the tragically violent vorcha of ME2, the game succeeds in depicting morsels of hope for mutual cooperation. Even the despotic batarian government can explain their frequent criminal behavior, freeing them of cultural stereotypes. Similarly, a freed rachni queen may help save the universe and sooth the fears her ancestors once birthed. Cultural exchanges are frequent in both ME games. A paragon focused player might have Shepard release the rachni queen, a universally despised species, because of her proven sentience and ability to conduct rational thought. Similarly in ME2, a paragon Commander Shepard may legitimately choose renegade actions in her interactions with krogans on Tuchanka, navigating their cultural behaviors while respecting the customs that do not needlessly destroy. Many of the recruitment missions in ME2 require similar cultural interactions. The diverse crew of the Normandy testifies to cosmopolitan virtues in the fictional universe, as well as our own. The politics of identity are complex. If our species were to one day reach the stars and encounter new life, and with it new value systems, would we recognize a common sentience? Would we appreciate our mutual ability to imagine other worlds and search them out? I would like to believe, with enough practice on our own world, cross-species conversations would prove fruitful. Our political beliefs and ideologies play out in our day-to-day lives and in the international arena, across borders. We test them in the fictional worlds of books, films, and videogames, reimagining our context anew. We, game designers among us, create self-revealing political playgrounds in which I gladly enter. Well, I think you're missing out on the point these species are FORCED to congregate in a single shared space (the citadel) because the majority of these coaligned races lack the technology needed to travel long light-distances alone. Naturally, when offered to euphemistic carrot of space travel, aggressive, and perhaps even overtly hostile races are willing to play nice. The only exceptions to this rule are the species that are A) too aggressive and/or stupid to play by the rules and B) species whose technological levels have advances sufficiently to the point that they no longer need the advanced technology provided by the Citadel. Thanks for the comment! Although I somewhat disagree. Once a species has the technology to use the Mass Relays, there really isn't anything holding them to the Citadel in terms of space travel other than potential warfare with the Citadel races. Humans, for example, traveled long light-distances using the relays before encountering the Turiens who believed they were breaking Citadel laws. The Citadel as a governing body is also superfluous if one species allied with another w/o Citadel interference. My point being, there are a lot of ways we can imagine the ME universe built politically in a different way. We need only look at various stages of political polarity in our own world. Euphemistic carrots aren't always enough to keep political bodies playing nice. Or, on the other hand, they can help build a foundation of trust that can extend long after the carrot isn't as enticing. But even the large scale group dynamics aside, the Citadel is a diverse city nonetheless. On an individual basis, it is a place where intergalactic citizens interact on a daily basis in a theoretically non-confrontational manner. That, as I see it, is enough to consider it an cosmopolitan in many ways. I'm a little late to this conversation, but one point i have to advance is the notion of fear. 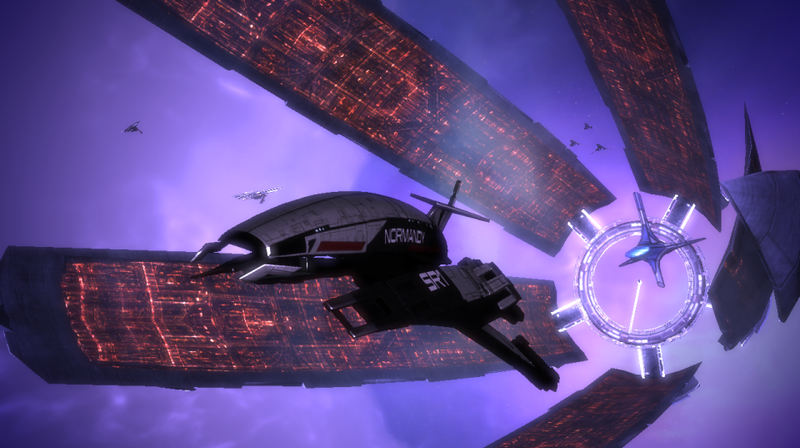 The Citadel and aligned non citadel races mutually co-exist to defend against hostile or more aggressive species. 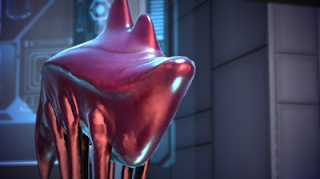 In the beginning storyline of ME1 we see this cautious attitude towards humans and their inclusion into the Council. By ME1's conclusion it becomes obvious that humans are a welcome compliment to defend against a very hostile species. We see the same parallels in history having to look no further than WW1 and WW2 as examples. The Allied forces aligned themselves against the Axis threat, whom coincidentally shared a very thin common thread of fascism. The Mass Effect story shares this common theme. 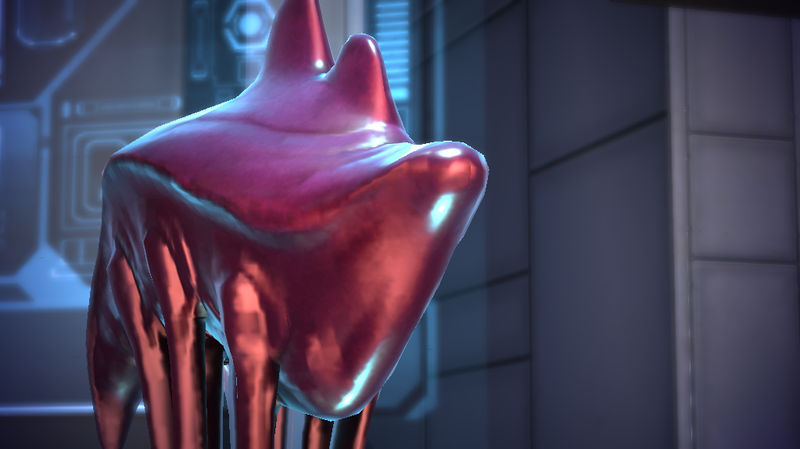 The Council has at various times welcomed the belligerence (Krogan)of various species to defend against a greater enemy (Rachni), only to expel them for a more accomodating one(Turian). In ME there is this recurring theme of circles of inclusion --- either friend or foe. I think what's so interesting about the Council storyline is how decisive and final their conclusions are, operating from a sense of fear or doom perhaps. The Quarians forever excommunicated and abandoned, the Rachni exterminated, the Krogan sterilized. Also whats so fascinating about the whole damn thing is that the Council are the good guys. It drives one to ponder how far is too far if it means defending one's self from an enemy political or otherwise, even if that enemy lusts for your own destruction. ME perfectly captures that feeling of inclusion into a galactic community. But also the fear that comes from interacting with the otherness of life. The greatest enemies so far all incapsulate this otherness (GETH/REAPERS- synthetics, Rachni/COLLECTORS - bugs) bearing no resemblance to what we as contemporary nor future humans (ME storyline) as sentient intelligent life. As you mention, the Council is a slow bureaucratic group, but when they make a decision, they stick with it (except for support for Shepard against the Reavers for some reason.) Interestingly, although the Citadel and the council is incredibly old, they still display the symptoms of a young governmental body. Simply put, many of their historical decisions seem short-sighted. But then again, we do not see a lot of the work the Citadel puts in to maintain galactic cooperation and well being. Anyway, the universe is super rich in material and I could go on and on. Thanks for stopping by and giving it a read!